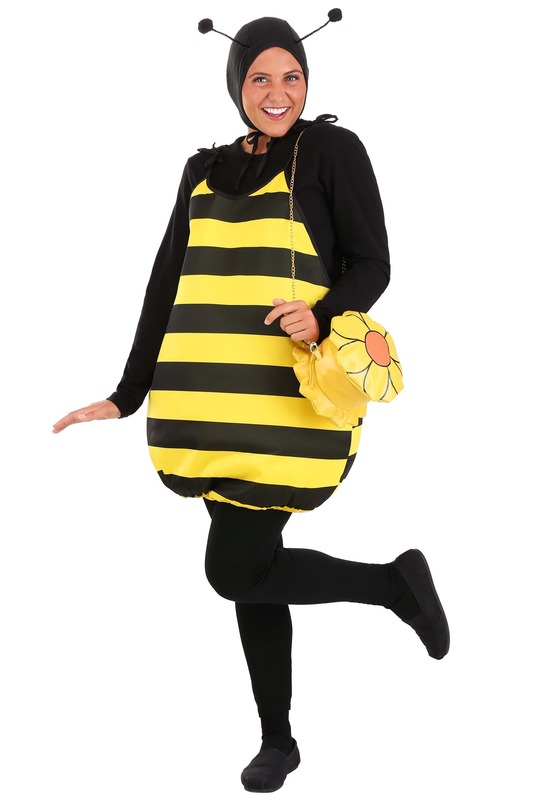 The party will be buzzing this Halloween when you show up in this adult bumbling bumble bee costume! This costume features a polyester jumpsuit striped in black and yellow. On the back of the shoulders are sheer black mesh wings. Near the bottom on the back is the black stinger. Straps at the top of the torso tie together to form shoulder straps, and the bottom hem is lined with elastic for a comfortable fit. The black stretchy hood ties under the chin, and the black antennae have soft black puffs at the end. 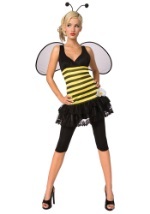 Don't forget to add a pair of black boots for a spectacular look at your next costume party!